A reception will follow in the Life Story Center where food and beverages will be served. Although she was taken from her loved ones much too soon, the impact Sheree Riggleman made on those around her was no less significant. Although she accomplished so much of which to be proud, she was a humble woman who loved using her time and talents to enrich the lives of others. Sheree continually thought of others first, and her devotion to helping others become their best was unmatched. Her love for her family was easy to see, and she loved nothing more than being surrounded by her family and friends. Life will never be the same without Sheree here, but she leaves behind a priceless collection of memories that her loved ones will forever hold near and dear to their hearts. The 1970s were an eventful time in American history. It was during the first half of the decade that the voting age was lowered from 21 to 18, the Watergate scandal became a reality, and the Vietnam War finally came to an end. 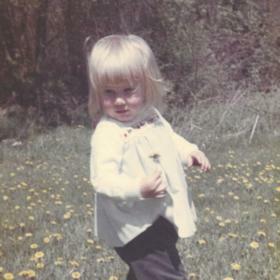 This was also a time of great celebration in the lives of Larry and Martha Riggleman as their family was completed with the addition of their daughter, Sheree, who had been born on September 28, 1970, in Detroit, Michigan. Her brother, Dean, was two years older, and they were close throughout her life. Through the love she experienced in her own family while growing up, Sheree learned the incredible value of family at a young age and family was always important to her. 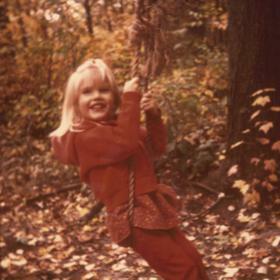 Sheree attended school and graduated from Gull Lake High School in 1988. As a student she was also involved in the school orchestra and band where she played the clarinet. Sheree also played the piano. From the time she was a young girl Sheree was a bustle of activity. She was a Girl Scout and looked forward to vacations spent camping. The Rigglemans also traveled to North Carolina to visit family and took a memorable trip to Disney. In 2010 to celebrate her parents’ 50th anniversary, Larry and Martha took the family on a Caribbean Cruise. 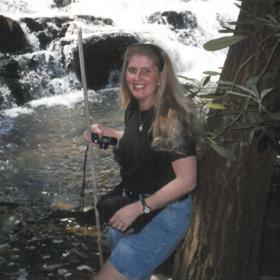 Sheree was a nature lover who regularly spent time outdoors, which was something she did throughout her life.  After graduating from high school Sheree was eager for all that life had in store. She attended Gwinnett Technical college in Atlanta and graduated at the top of her class as a certified medical assistant. With her education behind her, Sheree started her work in a rewarding career. She loved her job and working with the patients as she always put them first. Sheree later got a job teaching at Everest Institute in Kalamazoo, and she found training people to enter the medical field to be so rewarding. New and exciting changes were in store for Sheree when she was coaxed into going out with friends one evening. It was while out with these friends that she spotted the man who would forever hold the key to her heart. His name was Mike Clapper, and she spotted him while playing pool and smiled at him. That smile, along with her wit, was all it took for Mike to be completely smitten with Sheree. They soon fell deeply in love. It was the greatest day of her life when he got down on one knee and proposed on the pier at Silver Beach on May 24, 2014. 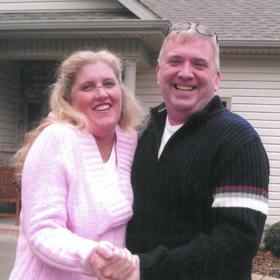 Sheree and Mike were soul mates who did everything together including camping, going up North to look for deals at garage sales, fishing, kayaking, and even attending drag racing together. Throughout her life, Sheree was a woman of many different interests. As an outdoor lover, she also loved to garden and received her master gardening certificate from Michigan State. Sheree loved to volunteer her time and knowledge with what she knew about gardening all around the Kalamazoo area. Her own yard showcased her time and talents as she had gardens that were designed not only to be beautiful but also to attract wildlife. Sheree had a special place in her heart for animals, and over time she helped find homes for numerous abandoned cats. As her family and friends can attest, she loved looking for bargains, and she loved going to the thrift shop twice a week in search of just the right piece to make her and Mike’s house into a home as decorating was something else she had a knack for. Sheree enjoyed all kinds of music from hip hop to country to jazz since as long as it was good, she would listen. She loved a good romantic comedy with You’ve Got Mail and Big being her favorites. Sheree liked eating zucchini and green beans, and although she usually ate healthy meals she indulged in french fry casserole at times including on her birthday. After being diagnosed with melanoma in October of 2016, Sheree really made the most of every day she was given. As someone who worked hard, she even kept working until September. All who knew Sheree Riggleman would agree that she was truly extraordinary. She was kind, trustworthy, and truly selfless since until her last day she was more concerned about others than she was about herself. Through the way she lived her life, Sheree taught others to be responsible in everything they did, and her life also exemplified what it means to live by a high set of morals and standards. 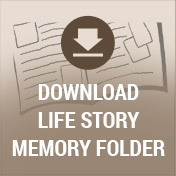 She had a sign in her house that read, “It’s never too late to live happily ever after,” and it was a true reflection of the life that Sheree lived. Dearly loved, she will never be forgotten. 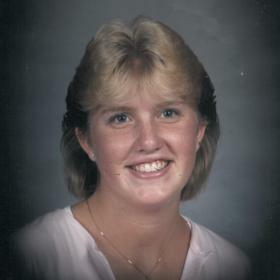 Sheree Riggleman Age 48, passed away on Tuesday October 2, 2018 at Wings of Hope Hospice after complications with melanoma. She was preceded in death by her father, Larry. She is survived by her mother Martha; her brother Dean (Tamara) Riggleman; her uncle Norm (Jeanette) LaVriha; her cousins: Kathleen (Mike) Bonisa and their children Hannah and Jacob, and Brian LaVriha; her fiancé Mike Clapper, his daughter Kaylee and grandson Cooper. Cremation will take place. Services will be held on Saturday, November 3rd at 11am at Betzler Life Story Funeral Home, 6080 Stadium Dr. Kalamazoo (269) 375-2900 where a reception will follow. Food and beverages will be served. Please visit Sheree’s personal web page at www.betzlerfuneralhome.com, where you can read her story, archive a favorite memory or photo and sign her online guestbook before coming to the funeral home. In lieu of flowers, memorial contributions may be directed to any animal shelter, Wings of Hope Hospice, Melanoma Research Foundation, or Alzheimer’s Association.